Pan seared in a decent amount of butter. Side of string beans. Words cannot begin to describe how delicious they were. 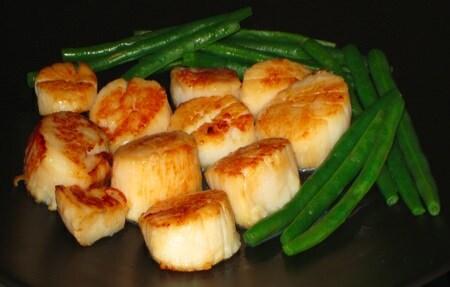 The thing I love about scallops is how easy they are to make. There is next to no preparation needed, other than removing the small muscle that attaches the scallop to the shell, and whatever side you’re making. Just put them in a pan of butter and let them cook. The only downside to them is their cost.